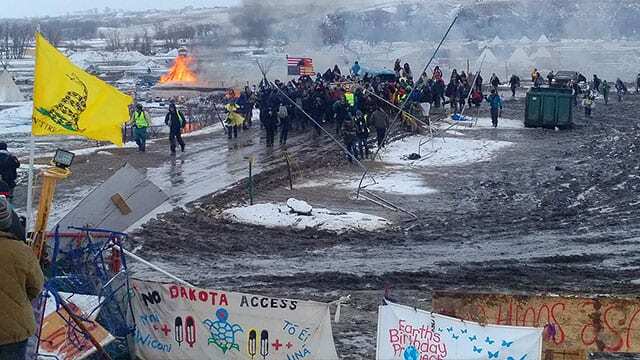 Fire burns at protest camp against the Dakota Access oil pipeline in North Dakota (APTN file). It’s an event to highlight injustices facing Indigenous peoples around the globe. And those problems – police brutality, voter suppression, human trafficking and environmental racism – are shockingly familiar no matter where they’re from. “We don’t want these tar sands going through our waters,” said Tara Houska, an organizer of Friday’s first-ever Indigenous Peoples March. Houska told the Billings Gazette the march stems from oil pipeline protests in North Dakota and Minnesota. “This March is to show force – positive force – to stand in our power,” added Lakota activist Chase Iron Eyes in an online statement. Alongside environmental concerns protesters plan to highlight issues of child welfare and missing and murdered Indigenous women and girls (MMIWG). 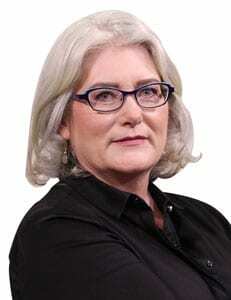 While Canadians await a final report from their national inquiry into MMIWG, two newly elected Indigenous congresswomen are raising awareness of gender violence south of the border. It’s anticipated both Deb Haaland (New Mexico) and Sharice Davids (Kansas) will grace the stage at the march as the first Native Americans elected to congress. 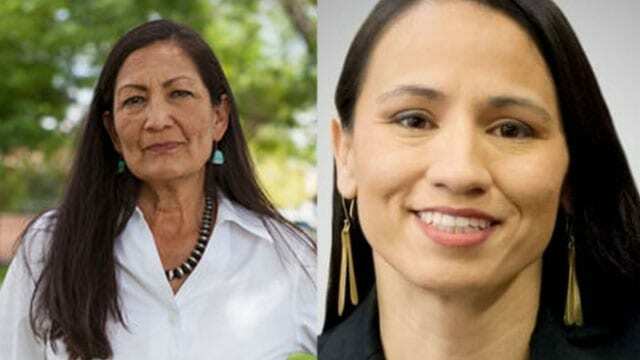 Deb Haaland and Sharice Davids are the first Native Americans elected to U.S. congress. They will be joined by tribal associations, grassroots organizations and other Indigenous politicians from across the U.S., Canada, Australia and South America. Iron Eyes is travelling from South Dakota’s Pine Ridge Indian Reservation, while Houska is accompanying an Enbridge Line 3 opposition group from Duluth, Minn., InForum reported. As many as 10,000 people are expected to be in the American capital and at solidarity marches in other cities, including some in Canada. Iron Eyes, lead counsel for the Lakota People’s Law Project, was part of the Dakota Access Pipeline protest near the Standing Rock Indian Reservation in 2016 and 2017. APTN News will have be covering the event dubbed #IPMDC19 on social media.